-Baita "MULINO" Mountain, Lake, trekking, art, food, Here! Mulino Pisogne is located in Pisogne and is 40 km from Bergamo. You can fire up the barbecue for a tasty meal and enjoy the garden at fair weather. The unit is equipped with a kitchen. A flat-screen TV is featured. There is a shared bathroom with bidet. Ski equipment rental is available at the property and the area is popular for skiing and windsurfing. Brescia is 31 km from Mulino Pisogne, while Limone sul Garda is 50 km away. An array of activities are offered in the area, such as diving and cycling. The nearest airport is Orio Al Serio International Airport, 39 km from the property. 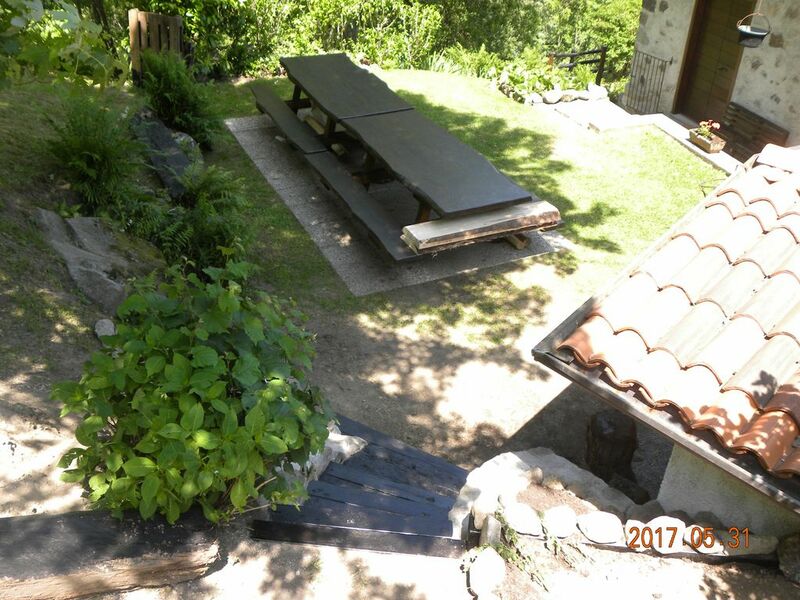 Located in Pisogne, 40 km from Bergamo, Mulino Pisogne is an apartment where you can prepare a tasty barbecue meal and enjoy the garden during the beautiful days. On site you will find a kitchen, a flat-screen TV and a shared bathroom with bidet. Ski equipment can be rented on site, while in the area you will find activities such as diving and cycling. Mulino Pisogne is located in a famous area for skiing and windsurfing, 31 km from Brescia, 50 km from Limone sul Garda and 39 km from Bergamo Orio Al Serio International Airport, the nearest airport. Cash Machine: Need Cash? There is a cash machine at this property. What do these hotels like this hotel? Credit card is not required! Een authentiek huis op de berg. Het huis heeft een eenvoudige inrichting. Voor ons zessen was het een passend verblijf. Er is één douche en één toilet.De douche functioneerde helaas niet goed. De tuin ligt mooi om het huis heen en is een heerlijke plek om in te verblijven. En je hebt een prachtig uitzicht op een dal en de bergen. Dit vakantiehuis ligt in Fraine. Dat is een bergdorpje behorend bij Pisogne. Vanuit Pisogne moet je altijd een aantal kilometers de bergweg op. Het huisje is een prachtige uitvalsbasis voor een verblijf aan Lago d'Iseo, het maken van heerlijke bergwandelingen en het verder ontdekken van de regio. vi ringraziamo di essere stati nostri ospiti ,e ancora grazie per la bellissima descrizione fatta della nostra casa in montagna a Fraine. wij danken u dat u onze gasten bent en nogmaals bedankt voor de prachtige beschrijving van ons berghuis in Fraine. In every season you will find a special charm here that nature will be able to offer you. Here you can find silence and relaxation in full Relax ..!